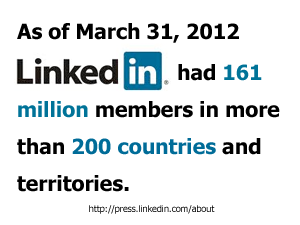 Having a LinkedIn profile is a great way to network and find job opportunities. Many people create profiles on LinkedIn but do not know how to use LinkedIn to attain the maximum benefit of networking on the site. Recruiters use LinkedIn to find potential job candidates, so you need to have a professional profile and be findable. Following are common mistakes people make on LinkedIn and ways to fix them. Your LinkedIn profile is like your resume. Some potential employers check your LinkedIn profile if it is publicly available to validate the resume you submit to them. Make sure the information in your LinkedIn profile matches the information on your resume. Many people create a profile but do not complete it. Make sure your LinkedIn profile is complete and keep it updated, as well as your resume. Include all professional experience you have, including internships. If you do not have much work experience, include volunteer work or any other relevant experience. Do not be shy. Show off your skills, work history, education and any professional certifications in your profile as well as on your resume. Some people do not attach a photo to their LinkedIn profile, or they attach an unprofessional photo. Put some time and effort into your photo. Make sure your photo is an honest representation of you and that you look nice in your photo. For some industries, it may be worth it to get a professional photo taken if you are serious about using LinkedIn as a means of finding a job. Some people to not use the tools on LinkedIn to take advantage of more social networking. Join groups that interest you and pertain to your line of work. It is another way to make contacts and bring more attention to your profile. There are job listings in some groups that you have access to when you are a member of the group. Do not only join groups on LinkedIn, but also stay involved in them to take maximum advantage of possible professional opportunities via the network. Describe yourself accurately and creatively in your LinkedIn profile. Inject your personality in the way you write what you do professionally. You are not only your job. Show this in the words you use. Descriptions about your employment history should be clear and concise. Highlight your accomplishments in your work history to attract the attention of potential employers and make your profile stand out.